Measures the brix concentration in lubricants and cutting fluids. The 0 to 18% Brix Refractometer is a small and compact size and is very easy to operate. It provides an accurate and repeatable measurement on an easy to read scale and it requires only two or three drops of solution. It has a prism and lens which has a simple focus adjustment. 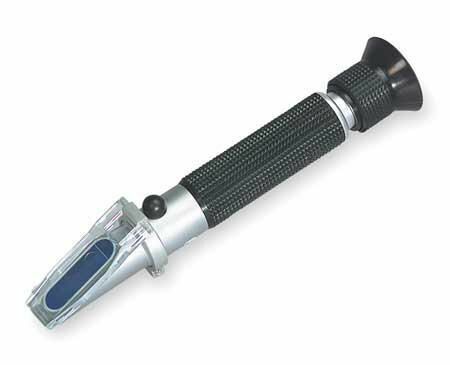 The Extech RF18 0 to 18% Brix Refractometer comes complete with a case, the calibration screwdriver, a plastic pipette and the calibration solution. Delivery information: Supplied complete with case, calibration screwdriver, plastic pipette and calibration solution.